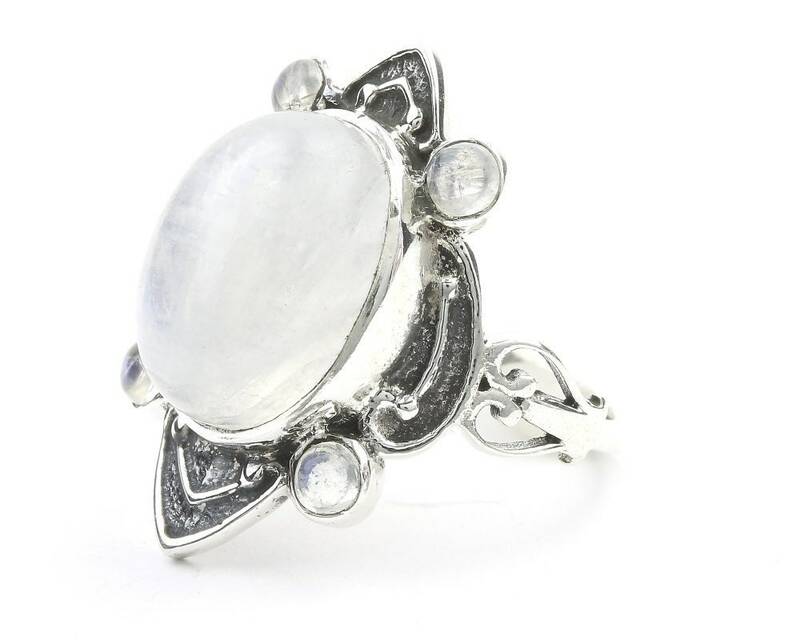 Large stunning sterling silver ring featuring a Moonstone center stone surrounded by four accent stones. 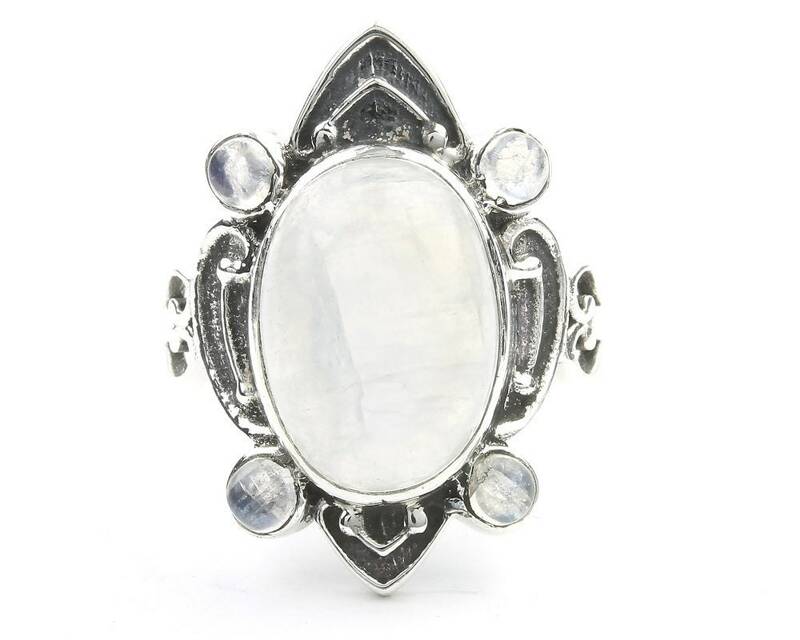 Large center stone rounds 1/4" above the finger. Hands down my new favorite ring! Excellent customer service and fast shipping. Will definitely be back soon!